Beat Jimmy Pesto’s score! Do you have what it takes to be the master of the tower? 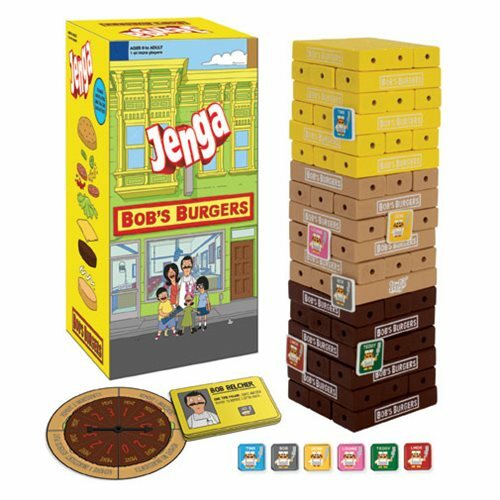 Based on the hit Bob's Burgers television series comes the Bob's Burgers Jenga! Fans of the hit show Bob's Burgers are sure to have countless hours of leveling up fun with the Bob's Burgers Jenga. Ages 6 and up.